In the past four and a half years we have posted 25 book reviews for an average of about six per year. We have also reviewed videos (3) and plans (1). Originally most of the books were from my library. Then I bought some and a few review copies were given to us. I still have a backlog of reviews I want to do from my library. I've done most of the reviews but we have also had other contributors including, Jim "Paw-Paw" Wilson, Bruce "Atli" Blackistone and John Neary. Over time we have improved the quality of our reviews and included more content in the form of detail sample images. Compared to anywhere else, our reviews are a big production that takes as long as a week to do the scans, process the images, setup links, write the review and format it all in HTML for the web. For all this work our reviews receive relatively low traffic. So I thought I would post a very condensed version of 18 of our reviews plus two in progress here on one of our most popular pages. The following are in no particular order. . like my library. 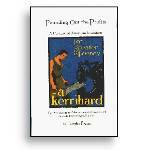 The is the modern classic of blacksmithing that was the catalyst for the rebirth of blacksmithing in North America and the inspiration for the establishment of ABANA. Wonderfully written and illustrated. Every smith or would be smith should have a copy. 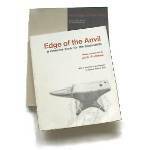 Where Bealer's The Art of Blacksmithing is an historical reference the Edge is more of a practical reference. Also beautifully illustrated the Edge also discusses the use of computers in designing wrought iron work and how to organize a shop business plan. Figure 3 MACHINERY'S HANDBOOK Published by Industrial Press. I grew up with this reference. It is an absolute shop necessity. It is not just a reference for machinists. 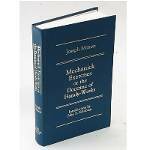 It is subtitled "for Machine Shop and Drafting-Room" but this is only a small group of the many people and places that should have a copy of this reference. MACHINERY'S has charts of technical data on everything from math, engineering formula's, machine feeds and speeds, the periodic table, metal alloys and articles on heat treating, reading drawings. . . rivet dimensions, tong details, hammer foundations and forge floors. . .
D&SI is about much more than Ironwork. It covers working sheet metal, raising, brass work. 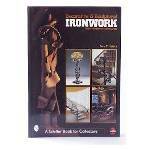 . . Another book from the 1970's that helped launch the revolution in artistic ironwork. When we first reviewed this book it was out of print. 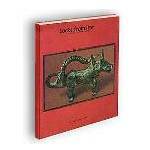 The review helped create enough interest to get the book reprinted and thus began the new series of books on metal work and blacksmithing by Dona Meilach. Figure 5 James Nasmyth: Autobiography - Inventor of the steam hammer and shaper. Nasmyth was a key player in the English industrial revolution of the 1800's and this book brings alive the times as well as putting itself in historical perspective. I originally found this wonderful book published on-line. When the original host did a bad job or reformatting the HTML I decided to host the original here on anvilfire. 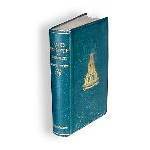 Copies of the 1883 book are often available used book stores. 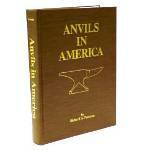 THE anvil book. The first, and due to Richard's fine job, probably the last that will be needed on the subject. Going into its third printing in the spring of 2003. A rare reference from the 1700's covering a variety of trades including blacksmithing. 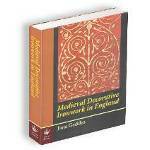 One of those "must have" references if you are into historical methods. Reproduced in the original type and Colonial era English. This is one of those big beautiful "coffee table" books designed for a wide audience. But as a virtual museum of modern Italian art of great interest to others in the field this is one of those books that will not lose value and be sold at steep discounts. Used copies will probably always be worth nearly as much as new. 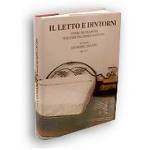 Another more specialized book on Italian ironwork. Focusing on beds this is a wonderfully inspirational reference. 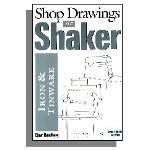 This is a book for metal artists and interior decorators alike. Bruce Blackistone provided this review. This book is another one of those references for historian, reinactor and smith. A review by Jim "Paw-Paw" Wilson. A great little pattern book. I found this book while researching locks and keys for our recent series of demos. It is one of those accidents of history that this book got written and survives today. Under the current political situation it may be a century before there will be another chance of something like this coming out of Iran or Iraq. 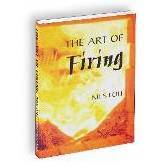 I have been trying to review this book since establishing anvilfire. I have been trying to get it done most of this year. . . 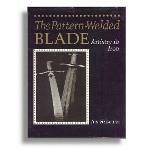 It is one of the most wonderfully illustrated books on blacksmithing and blacksmiths tools. 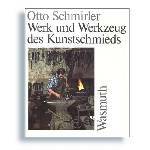 Schmirler uses ink and watercolors to produce fantastically clear images of many specialized and rarely seen tools. 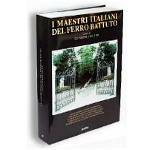 This book was referred to me by Feriz Delkic owner of International Technical Ceramics. It has some very clear insight into gas furnaces and using lightweight refractories. It also discusses several types of propane burners including liquid fuel type. Written for potters this is not a book for every smith. Ex CIA agent turns swordsmith. . . Jim's series on bladesmithing and Damascus are excellent references and a good place to start if you want to get into the field. 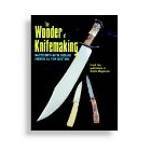 I had a friend, Patrick McGeehee who worked in Josh Greenwood's shop and who has done a bit of Damascus and blade work review this book. The Sorber collection is world renowned and is has many representative examples of the finest of Colonial American ironwork. This book would be a classic no matter who compiled it. Another must have reference for the smith that makes reproduction hardware. Figure 18 Under a Spreading Chestnut Tree by the late Charlie Sutton. The fact that we have not posted the review of this book is my shame. Charlie died September 16th of this year. I have had a copy to review for several years and minor details have held up the review. Paw-Paw has written the review and it just needs scans to be made to finish it. . . . 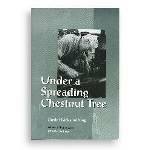 The remaining copies of Under a Spreading Chestnut Tree are being sold to support the CanIron organization. After the success of the reprint of D&SI Dona's publisher asked her to do a coffee table book survey of contemporary metalwork. anvilfire helped publicize the call for submissions and helped make this a successful book. Another book full of inspiration and wonderment. Another classic and historical reference. If you think "Little Giant" was the only maker of power hammers this book will teach you differently. Dozens of company histories and illustrations of rare machines. If you ever thought about building a power hammer you SHOULD read this first. As you see we have had reviews from many people. Submissions are welcome. However, if you review a book that I do not have on the shelf I will ask that you supply scans of sample images as needed to illustrate your review. Do not worry about processing the image. Just send me the raw scans and I will do the rest. Knowledge is your most important tool. You will not find it on the Internet alone. Books are still where the bulk of knowledge is to be found. 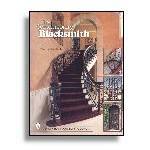 I didn't see the blacksmiths craft or wrought iron, jock any reason? They are book I do not have or that no one has volunteered to review. 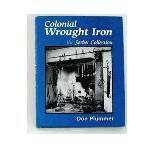 I did most of my blacksmith book collecting in the 1970's. 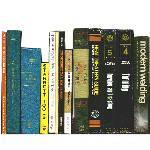 Newer books we have reviewed are mostly from review copies sent to us by authors and publishers. There are also other books we have reviewed that for one reason or the other I chose not to list here. This is not ALL of our reviews. 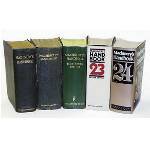 they are the books from England put out by the gov and are excellent books for the beginner. I have a lot of those books but I need to get some of the others I did not know about, thanks for the review and time Jock. Yes, I have the one British classic that is often mentioned and we will eventually review it. There are many others that will will eventually get to. So far we have 30 reviews including CD's and videos. Each taking about a week. That is a lot of manhours.